Is Birdman broke? Several media outlets are speculating that there’s financial trouble in the lavish rapper’s extravagant world. 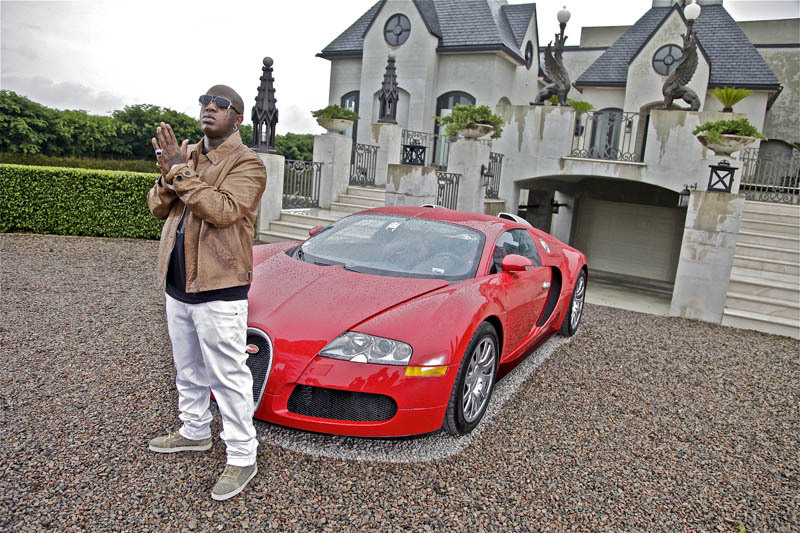 For those who don’t know, Birdman is well-known for his flashy style, lavish homes, and expensive toys. So, many fans aren’t too surprised about the possibly of money woes where the rapper is concerned. According to TMZ, the Cash Money CEO is in hot water with the Ivy Condo Association in Miami, Florida. Apparently, the “100 Million Dollar” rapper hasn’t been paying bills. The condo association revealed Birdman has bounced numerous checks and has more than $12,000 in unpaid association fees. The condo company reportedly filed a lien on the property sometime in November, and is requesting that the court foreclose on the lavish pad. To make matters worse, the condo debacle reportedly isn’t the full extent of Birdman’s financial woes. Unfortunately, that’s only a small part of it. A number of other reports have also revealed that he has a $1.9 million federal tax lien and another $1 million lien from a construction company. It’s also been reported that he took out a loan against his massive Miami mansion for an estimated $5 million earlier this year. So, if there is financial trouble in paradise, the problems have probably been mounting for quite sometime. But, apparently, the rumors and allegations didn’t stop the “Fire Flame” rapper from popping bottles on New Year’s Eve. However, his New Year’s celebration wasn’t the typical Birdman style. He reportedly sold New Year’s Eve party packages to aspiring rappers. But, there was a big catch — it cost a whopping six-figures! For $100K, Birdman offered to record a song with aspiring rappers and party the night away. The outlandish advertisement has led many to wonder if it was only a rumor, or a far-fetched way to make money. But, in addition to Birdman’s personal financial woes, many news outlets have reported that the walls of the Cash Money/Young Money empire are caving in. Speculation began when Lil Wayne took to Twitter, blasting Birdman and his label Cash Money Records. The tweets were so shocking that many thought Wayne’s Twitter account had been hacked. But, surprisingly he later confirmed that he did post the tweets. He revealed that his highly anticipated album The Carter V has been pushed back repeatedly due to creative differences with his label. He also labeled himself as a “creative slave,” which confirmed speculation about financial issues most YMCMB rappers have been rumored to face. Wayne also made it clear that he is “done” with Cash Money. Is this the beginning of the end of a hip hop dynasty? Only time will tell. Do you believe Birdman is broke? Share your thoughts.